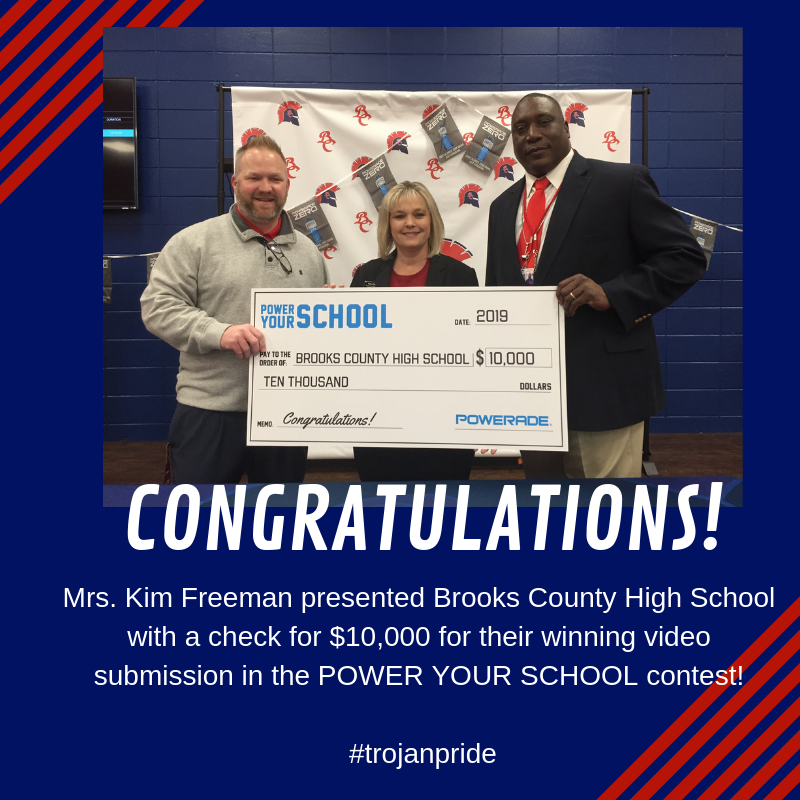 Brooks County High School was awarded a $10,000 grant for their video submission in the Power Your School contest sponsored by Powerade. Jordan Rose, BCHS Senior, shot and edited the video for the contest. Pictured is Principal Chris Chastain, Kim Freeman with Coca Cola, and Coach Maurice Freeman.